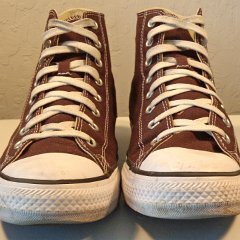 Lightly worn pair of Converse Chuck Taylor All Star high tops for sale, pair SCH35. 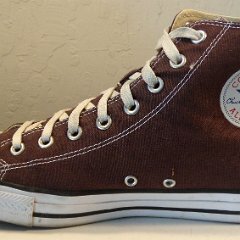 1 Burnt Umber High Top Chucks Inside patch view of the burnt umber right high top. 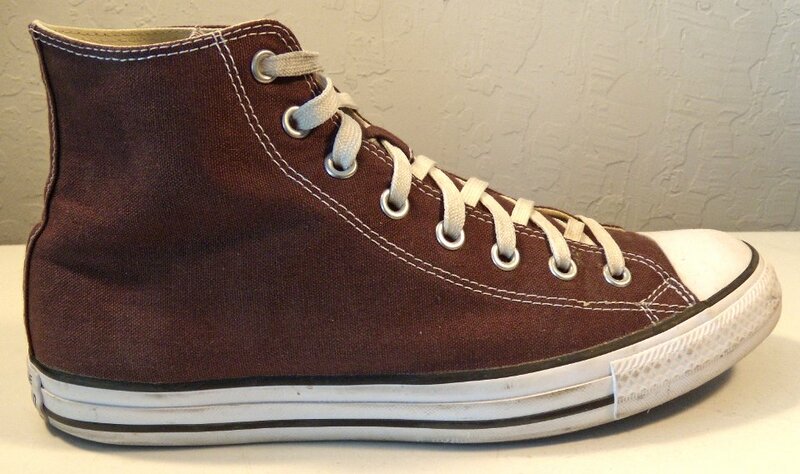 2 Burnt Umber High Top Chucks Outside view of the burnt umber right high top. 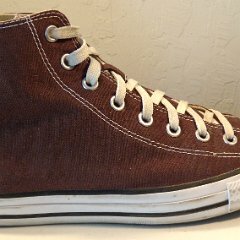 3 Burnt Umber High Top Chucks Inside patch view of the burnt umber left high top. 5 Burnt Umber High Top Chucks Rear view of the burnt umber high tops. 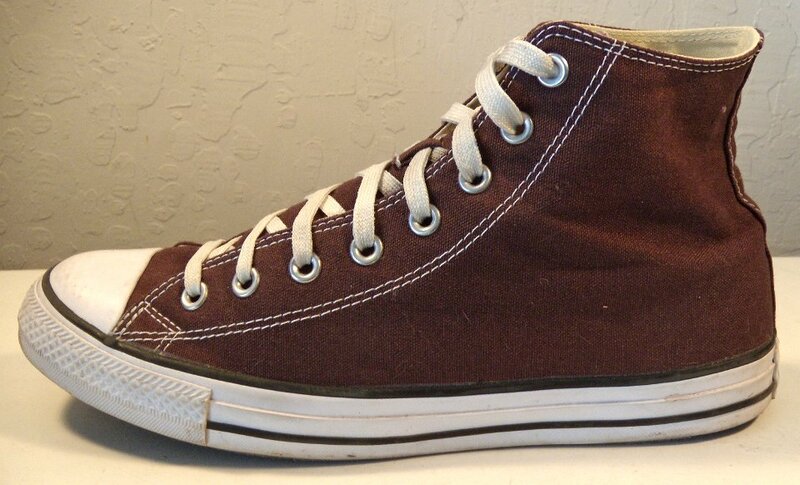 6 Burnt Umber High Top Chucks Front view of the burnt umber high tops. 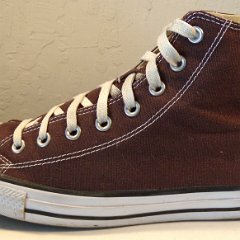 7 Burnt Umber High Top Chucks Top view of the burnt umber high tops. 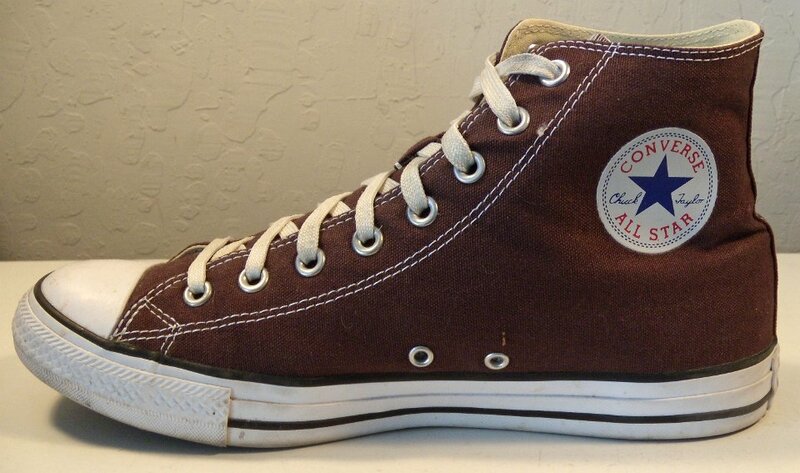 8 Burnt Umber High Top Chucks Outer sole views. 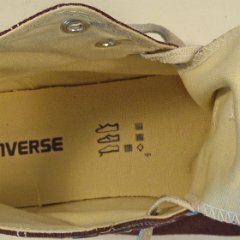 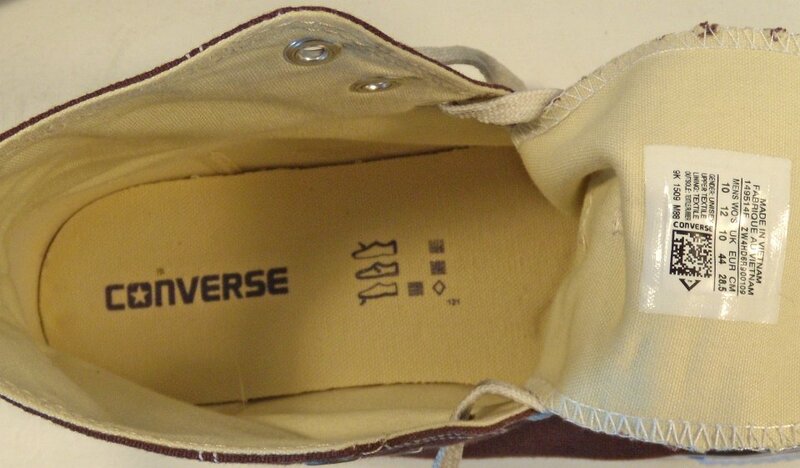 9 Burnt Umber High Top Chucks Insole closeup view. 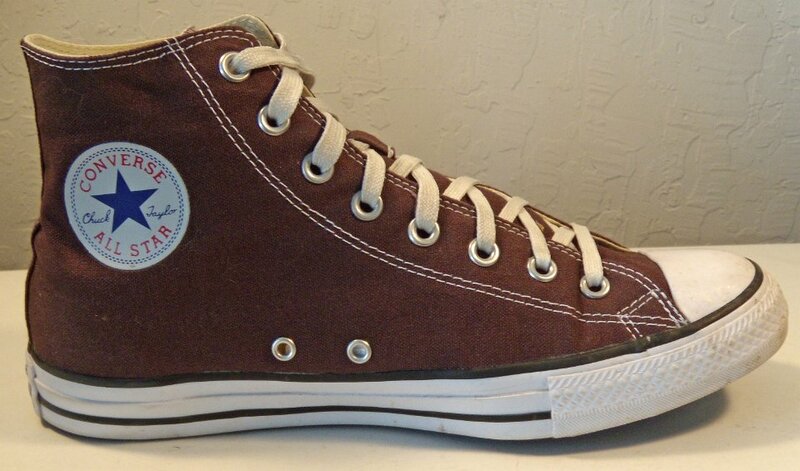 This is a dark brown seasonal color issued in 2016. 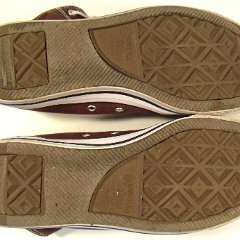 The shoes show very light wear from an action photo session. 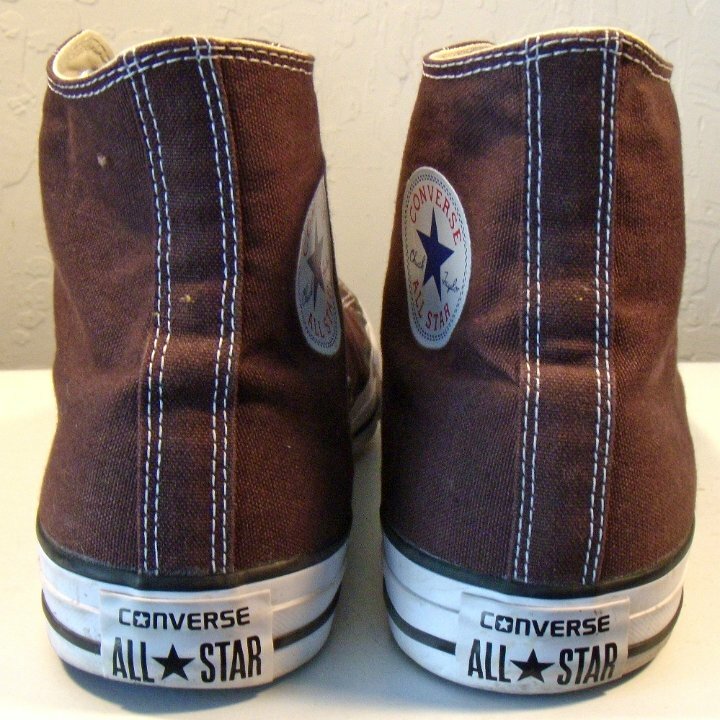 They have a notch on the tongues to keep it centered, black racing stripes and white toe caps and outer foxing. 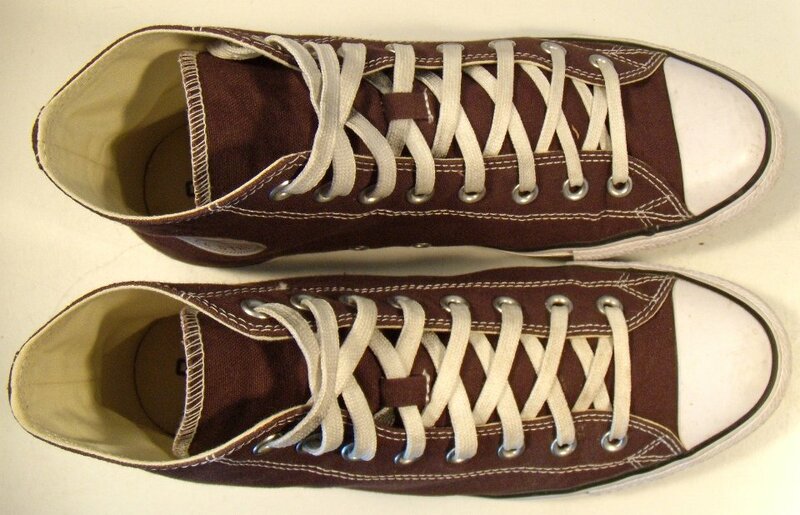 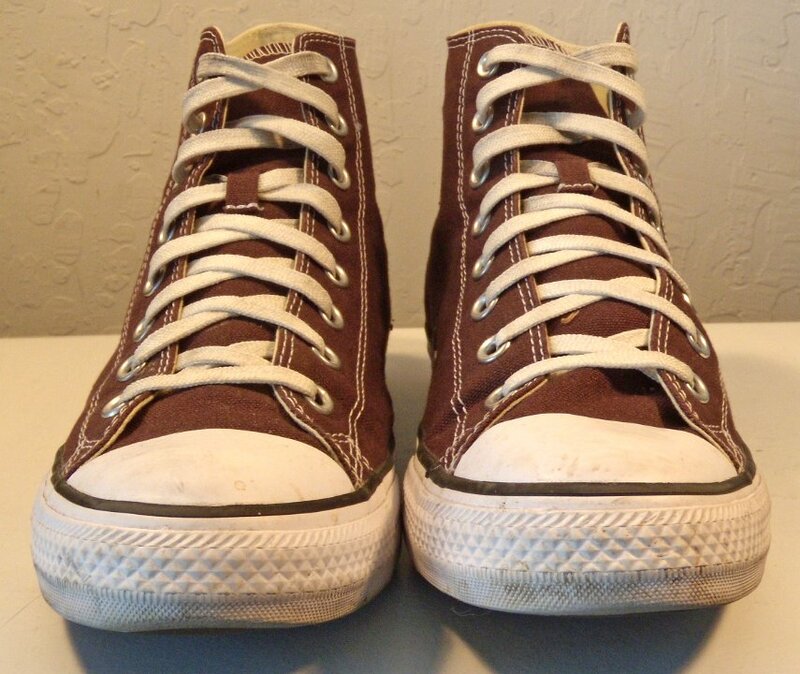 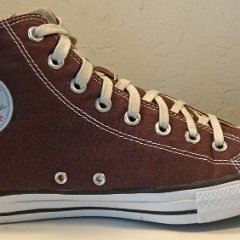 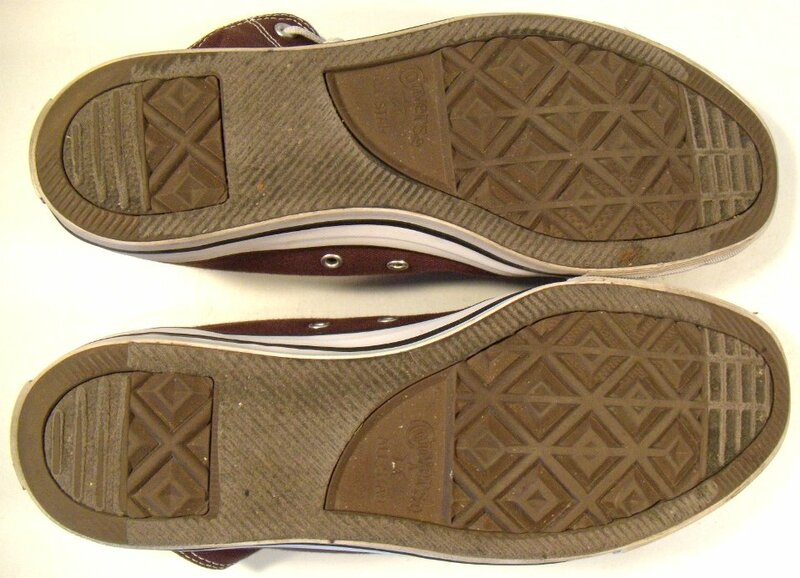 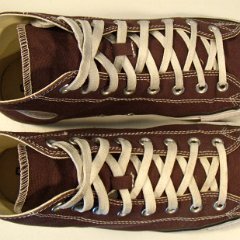 They are very similar to the chocolate brown chucks that was a core color for a brief time.